Valentine’s day, like Santa Claus with extreme flatulence, has blessedly come and blessedly gone. 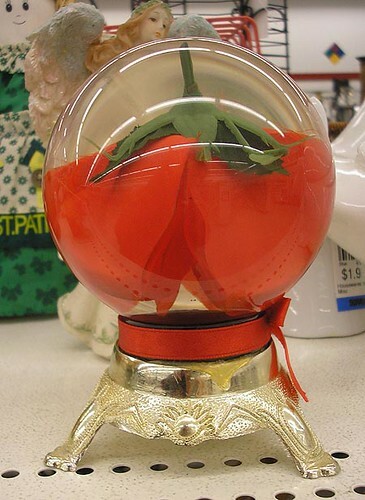 In its wake, the Thrift Stores, their shelves already heavy with other people’s stale romance, try to shift the the unshiftable: used broken Valentines gifts. What better way to say “I love you, like $.35 worth” than the gift of dime-store affection? that in the water drowned. If this little trinket wasn’t slowly turning into a gelid, opaque slurry, I would have bought this for someone special. Maybe it would be for something bigger than a valentine’s day statement of something self-evidently beyond words. Maybe it would be for a special anniversary. Is it the 15th or the 24th that you give someone irony? I wish I could look at this again, I’m trying to remember why its back is either perfectly flat or strangely hollow. Maybe you’re supposed to fill it with candy. Or very small, hand-written apologies. But let’s say you already did it? 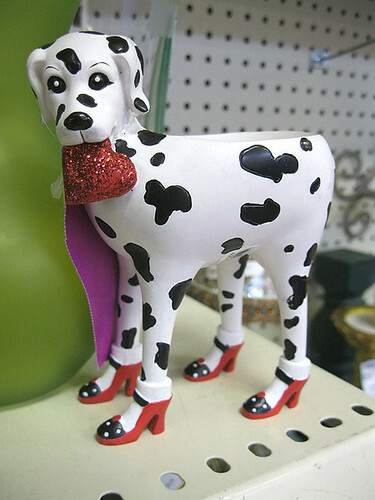 Suppose you gave your lover a black-eyed, heart-eating Dalmatian in stilleto heels last year? How do you say “Remember that undying affection? It’s still there, only with more hair and age spots on it, like a well-seasoned banana?” Basically, how do you top that one? 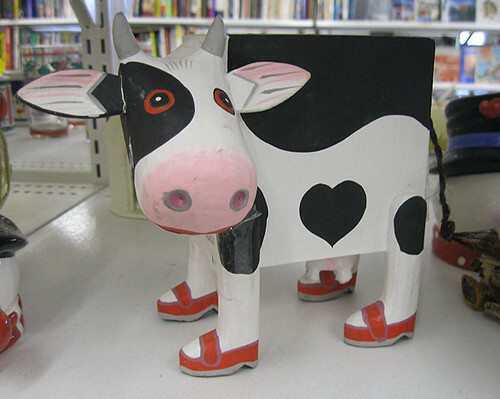 Rose and cow both from Savers on South Lamar, pump-heel Dalmatian from Savers on North Burnet. 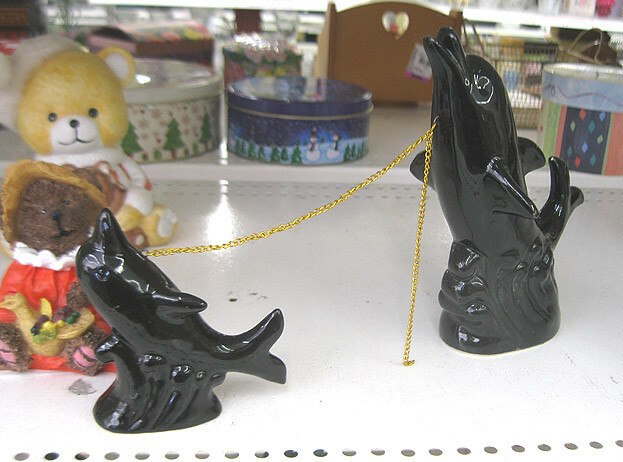 It’s kind of a Savers Valentine’s day, which is the BEST Valentine’s day. Uncategorized aminals, Holiday Posts, My Funny Valentine?